In this exploratory study, the author examined the role of job demand, work-family conflict, compensation benefits and supervisor support on call center employees’ knowledge related to the availability of work-family policies in their organization. Furthermore, the role of job demand, compensation benefits and respondents’ knowledge related to the availability of work-family policies on respondents’ use of work-family policies was also examined. 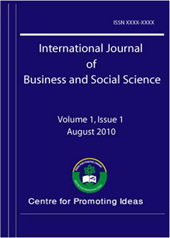 Surveys were used to collect data and regression analyses indicated that high work-family conflict, compensation benefits and supervisor support were significantly related to respondents’ knowledge related to the availability of work-family policies and the direction of the relationships were positive. Job demand and respondents’ knowledge of the availability of work-family policies were significantly related to use of work-family policies. These results are discussed with respect to implications for policy and future research.